along with other artists for the CURRENT SESSIONS at wild project. 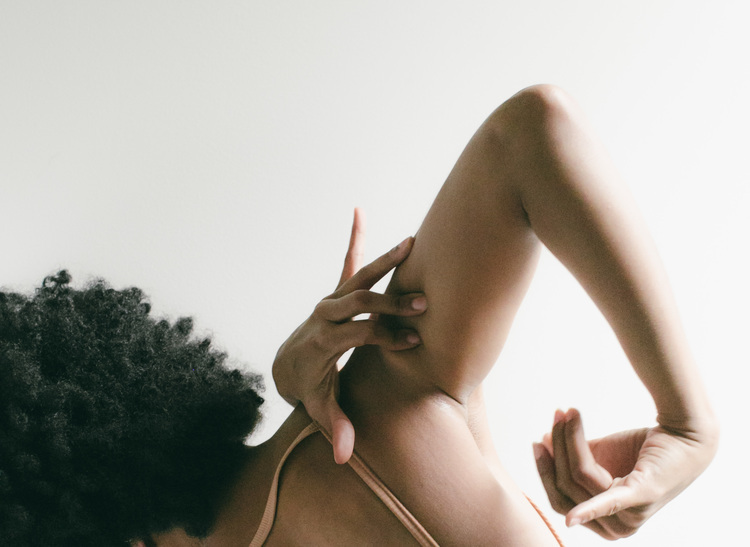 Movement Currency will focus on how bodies produce, exchange, and perform within systems of value, drawing on figurative and ethnographic practices to consider the lineage of choreographies which qualify our social identity. With New York's fall dance season looming up ahead--and, believe me, it's looming--we can enjoy a breather for a few more weeks. But if you're still craving dance with some bite to it, Alexis Convento's team, the CURRENT SESSIONS, might have just the thing for you. Last evening's presentation was organized around the concept of Risk--"from fragility to preservation, harm to survival...risk as a performative dimension which trades personal safety for choreographic opportunity." Tonight's show will tackle Debt, and tomorrow's 3pm matinee and 7pm performances, respectively, spin off from Savings and Credit. Each feature a concise mix of emerging artists guest curated by Ali Rosa-Salas, Justin Cabrillos and Sasha Okshteyn. Risk--well-paced and clocking in at 45 minutes without break--offered work by dance artists Katrina Reid, Jessica Pretty and Amanda Hunt and filmmaker Ben Hagari. Of these four, all intriguing, I found Pretty and Hagari the most compelling. Hagari's tour de force, Potter's Will (2015), is a sensuous and yet nightmarish ballet for wet clay, hellish fire glow, a man's clay-smeared body and the madly swirling camera of cinematographer Boaz Freund. Set, quite appropriately, to Ravel's La valse, it draws the viewer ever closer to danger--immolation, extinction and perhaps, at this great cost, unimaginable transformation. Pretty's solo, the third., images a powerful wanting and not having. The dancer is a Black woman with hands often splayed in front of her gentle face, shielding her squinting eyes from the fierce glare of an imagined light source. She moves and folds and shapes her body like a tangle of brambles in big expenditures of energy and motion. She's a powerful, satisfying dancer--all the more reason that the empty platform stage seems confining, as does that invisible light source. Sudden, insistent bursts of song--Kanye West's "Nobody to Love," with its weird exhortation to just "grab somebody" from the party--both kind of name her situation and fragment it into any number of problematic realities. Movement Currency's series resets the lineup for each show, with some repeats. So, your experience may be different but always an opportunity to discover, engage and be challenged. Volume VI, Issue II: Movement Currency continues through Sunday, August 21. For programming information and ticketing details, click here.